All the interview can be found here. In October 2016 Mr. Przemysław Wierzbicki, Managing Partner in the Law Firm Wierzbicki Adwokaci i Radcowie Prawni sp.k., was admitted to membership of the International Bar Association (IBA). On October 6, 2016 a meeting of the Bankruptcy and Restructuring Section was held in the District Bar Council, chaired by Mr. Przemysław Wierzbicki. The special guest was the Aleksandra Ziółkowska-Majkowska, Regional Court Judge, who judges at the Regional Court for the Capital City Warsaw, X Commercial Division for Bankruptcy and restructuring. The meeting was devoted to the rehabilitation proceeding. By virtue of Resolution No. 133/2016 of the District Bar Council in Warsaw on September 28, 2016 Mr. Przemysław Wierzbicki, Attorney at law, was appointed Chairman of the Bankruptcy and Restructuring Section (‘Section’). 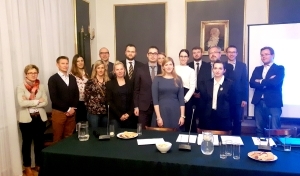 The section is appointed by the District Bar Council in Warsaw and operates on the basis of these Rules, the regulation of organization and functioning of the District Bar Councils(Resolution No. 14/02 of the Supreme Bar Council of September 28, 2002, with amending resolutions) and a program resolution of the Extraordinary Meeting of Bar Association in Warsaw on October 11, 2014. – ‘The Warsaw Bar – challenges in the face of change’ (point 2.2 (iv) of Resolution). The purpose of the Section is to promote the knowledge and experience of professional lawyers and trainees of Warsaw Bar in the area of Bankruptcy and Restructuring, affiliated to the Section, in particular by taking a stand on important issues for the practice, business consultative, conference, legislative and cooperation with other units, self-education of members of the Section, organize meetings, workshops and seminars, as well as to inspire and promote the publication of the Bankruptcy and Restructuring Law (including in the Internet), and research in this area of law. On September 22-25, 2016 Mr. Przemysław Wierzbicki, Managing Partner, attorney at law at Wierzbicki Adwokaci i Radcowie Prawni sp.k. 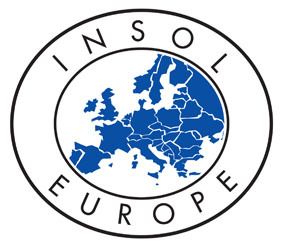 took part in the Annual Congress of INSOL Europe in Lisbon, Portugal. Congress was devoted to deep look into the world of restructuring and bankruptcy in Europe and outside Europe. The theme of this year’s Congress were presented, in particular, ‘Finance & Insolvency’, which has been extensively discussed by practitioners, judges and academics. The special guest was Mr. José Manuel Barroso, former President of the European Commission, currently chairman of Goldman Sachs International and advisor to Goldman Sachs in London branch. Congress has contributed to deepening the knowledge of the participants and was an exceptional opportunity to exchange practical experiences. Polish Foundation for Competition Law and Regulation Sector Ius Publicum, Department of European Economic Law, Public Law Department of Economic and Scientific Circle of Energy Law and other Infrastructure Sectors working at the Faculty of Law and Administration, University of Łódź, in cooperation with the Office of Rail Transport organized III. Nationwide Scientific Conference Consumer on the rail passenger market, held on May 25, 2016, at the Faculty of Law and Administration, University of Łódź in Łódź. The aim of the conference was to learn and understand the processes occurring in the market for passenger rail transport, exchange of views and experiences between representatives of science, government and business, as well as the interest of students and PhD students on regulation of the railway sector. The honorary patronage over the conference was taken by the President of the Railway Transport Office (UTK), Forum Railway Railway Business Forum and the Center for the Antitrust and Regulatory Study of the University of Łódź. Wierzbicki Adwokaci i Radcowie Prawni sp.k. helped to support the organization of this year’s conference, as a Conference Partner. Przemysław Wierzbicki, Managing partner, attorney at law at the law firm Wierzbicki Adwokaci i Radcowie Prawni sp.k., participated in a panel discussion: ‘The impact of regulation on the development of the rail passenger market’. Law Firm Wierzbicki Adwokaci i Radcowie Prawni sp. k. advised on the transaction of one of the largest Polish developers – ROBYG S.A. This transaction included the purchase of a property located in the Wola district of Warsaw – a rapidly developing residential area. In addition, the transaction was to carry out the procedure of purchase 99.74% of the share capital of Przedsiębiorstwo Zaplecza Technicznego “TRANSBUD” S.A. (Technical Back Enterprise), which is the former state-owned company, which operates on the above property. Legal services included not only legal audit of the acquired property, but legal audit of the acquired company and its affiliated companies. Moreover, Law Firm actively supported the developer in all discussions and negotiations related to the transaction carried out. This transaction clearly confirms the dynamic development of the developer in the housing market and the demand for new housing complexes in Warsaw’s Wola – acquired property will be zoned for residential project of large size. Getting richer experience of the Law Firm in legal research and real estate companies allows us to handle ever larger entities with transactions of crucial importance for market. At the head of the Law Firm’s team preparing transaction documents stood Mr. Przemysław Wierzbicki – Managing partner, attorney. On the 25(th) of January, 2016, following proceedings conducted in an open tender, our Law Firm signed with the Museum of Modern Art (MMA) contract for legal services in the field of implementation of investment projects, including the provision of permanent comprehensive legal services in relation to the activities of the Department for the Investment of the MMA, whose primary scope of tasks includes construction of a new MMA building in Warsaw and construction of temporary seat at the time of the target opening of the Museum building. In terms of legal services are all matters connected with the activities, including those related to real estate, infrastructure, process design and construction of the new building, financing investments, relationships with MMA’s contractors acting on the basis of already signed contracts and contracts that will be concluded in a future relationship with the Capital City of Warsaw, the administrative authorities, etc. Legal services include, in particular providing consultation, preparation of legal opinions, drafting contracts and other documents, participation in negotiations and representing MMA in judicial or administrative proceedings. Wierzbicki Adwokaci i Radcowie Prawni Sp. k. Law Firm advised on the merger of groups of producers of fruits – Rajpol Sp. z o.o. and Ewelina Sp. z o.o. On the 17th of December 2015 the merger of groups of producers of fruits – Rajpol Sp. z o.o. and Ewelina Sp. z o.o. – was registered in the National Court Register. Wierzbicki Adwokaci i Radcowie Prawni Sp. k. Law Firm has provided legal services associated with the present merger. Companies of Rajpol Sp. z o.o. and Ewelina Sp. z o.o. are groups of producers of apples which operate actively on the Polish and foreign markets. The merger mentioned above consisted of the acquisition by Rajpol Sp. z o.o. of all assets of Ewelina Sp. z o.o. in exchange for existing shareholders of the Ewelina Sp. z o.o. of the share capital of the Rajpol Sp. z o.o. – one of the most modern and largest organization of fruit producers in Poland. Merger between Rajpol Sp. z o.o and Ewelina Sp. z o.o. is a precedent project aimed at strengthening the market position of apple producers which are partners of the above companies, blending in with the activities of Polish authorities to create, by merger or acquisition, bigger and stronger groups of producers of fruits and vegetables. It is worth noting that such tendencies are present at EU level. Through the merger of recognized groups of producers of fruits, which are the companies such as Rajpol Sp. z o.o. and Ewelina Sp. z o.o., was established an entity, whose activities are in line with the rapid development of the sector of producers of fruits and vegetables – the planned turnover of the merged companies will be over 100 mln PLN and will eventually have significantly increased every year. Wierzbicki Adwokaci i Radcowie Prawni is affiliated to the French Chamber of Commerce in Poland (CCIFP), an employers’ association founded in 1994, the union of French, Polish and international companies. Wierzbicki Adwokaci i Radcowie Prawni is a signatory of the Declaration of Responsible Business CCIFP. Wierzbicki Adwokaci i Radcowie Prawni Is pleased to announce that on 2 July 2015 we became a signatory of the Declaration of Responsible Business Chambre de Commerce et d’Industrie France Pologne (CCIFP). Committee CSR working with the French Chamber of Commerce in Poland (CCIFP) created the Declaration of Responsible Business, thinking of all the CCIFP members who would like to join the group of companies involved in implementing and benefiting the potential of CSR activities, as well as the promotion of good practices in this area. ● Promoting good practices of CSR. We are very pleased to inform you that our team has achieved a huge success while representing a claimant – a company belonging to an international insurance group. This success is important in so far as the case that was conducted by the law firm was of precedential nature. In fact, the case focused on finding out if the expiration of the validity period of a deposit to which the claimant had acquired the rights under the assignment agreement results in releasing the funds to the benefit of the assignor and consequently preventing the payment of the funds to the assignee. The facts of the case are that the claimant has concluded with a third party an agreement the subject of which was granting contractual insurance guarantees (guarantee of a bid bond payment, performance bond and retention bond). The parties to the agreement agreed that in the event the payment is made to the benefit of the guarantee beneficiary by the claimant, the other contracting party will return the amounts paid to the guarantee beneficiary. A transfer of receivables due on account of an irrevocable term deposit was made as a security for these claims. The defendant bank accepted that blocking the funds for the claimant was existing only until the expiration date of the term deposit, thus after the expiration of the validity period of the term deposit the funds were unduly paid to the assignor by the bank. The District Court issued an adjudicative judgment which fully sustained our position. The defendant bank filed an appeal, however the Court of Appeal also took the view that since the validity of the agreement on the transfer is beyond any doubt, the time period of the deposit is of no importance. We are pleased to announce that we represented the ordering party – Polish Electric Power Engineering Networks S.A. (PSE) in appeal proceedings before the National Board of Appeal related to the appeal of three Consortia to select the most advantageous offer in the complex IT tender “Supply and implementation of the PSE Group Information System”. By the judgment of 19 February 2015 the appeals were dismissed. The National Board of Appeal fully shared our position. We are happy with the success achieved, because win 3:0 before the National Board of Appeal is very rare. On 2 February 2015. the President of the Republic of Poland signed a new law on bonds, which shall enter into force on 1 July 2015. Following this amendment, Przemysław Wierzbicki is conducting a series of trainings on bond restructuring. If you are interested, please contact us at sekretariat@warp.com.pl . On October 31, 2014, following the proceedings carried out in an open tender, we signed with the Ministry of Sports and Tourism an agreement for the provision of legal services, including legal and tax advice in matters relating to the corporate governance of special purpose companies: PL.2012 + sp. and Narodowe Centrum Sportu-Rozliczenia sp. z o.o. in proceedings i.a. before the European Commission or the Office of Competition and Consumer Protection (UOKiK), as well as litigation and public procurement. On October 27, 2014, following the public proceedings in an open tender, we concluded a framework agreement for the provision of legal services to Polskie Sieci Elektroenergetyczne S.A. (Polish Electric Power Engineering Networks S.A.) based in Konstancin-Jeziorna, in the field of public procurement law. The legal advise will include – in particular – consultations, preparation of legal opinions, drafting contracts and other documents, participation in negotiations, representation in judicial or administrative proceedings. On October 9, 2014 Maria Beroud participated in the II Congress of Domestic Equipment Services, organized by CECED Poland (European Committee of Manufacturers of Domestic Equipment). After she presented the provisions of the new Law on consumer rights which comes into force in December this year, she responded to numerous questions from representatives of companies present at the Congress (including Amica, Beko, Bosch-Siemens, Candy-Hoover, Electrolux, Gorenje, Indesit, Samsung, Whirlpool). On September 30, 2014 Przemysław Wierzbicki spoke at the conference “Public Procurement Law – barriers for entrepreneurs” organized by the Polish Agency for Information and Foreign Investments in cooperation with Scandinavian-Polish Chamber of Commerce, the British-Polish Chamber of Commerce (BPCC), the French Chamber of Commerce in Poland (CCIFP), German-Polish Chamber of Industry and Commerce (AHK) and the American Chamber of Commerce. Our speech was preceded by a survey among the Scandinavian companies on the most important barriers that these companies face in accessing public procurement. Representatives of the Parliament committees and the Ministry of Economy attended the conference – remarks of speakers and persons participating in discussion are supposed to be considered at the amendment proces of the Law. Today we have started a series of trainings on the revision of the Public Procurement Law. The training lasts approx. 3 hours and is conducted by Przemysław Wierzbicki and Maciej Łysakowski. If you are interested please call +48 22 378 26 14. We advised a company of Rank Progress S.A. Group in sale transaction for the company of the IMMOFINANZ Group – Clio Real Sp. z o.o., of a real estate located in Piła, connected with a commercial and service facility under construction “Piła Gallery” along with the technical infrastructure for the price of 57,696.000 Polish zlotys. The indicated net selling price of the property will increase in the future with optional additional remuneration as defined in the agreement (earn – out); the method to determine the amount of that remuneration is defined in the agreement and basically its amount will be determined as a percentage of potential profit from the Shopping Center established as the difference between: the future market value of the Shopping Center and the cost of the investment, while both the future market value and the cost of the investment, including the method their determining, have been defined in the contract accordingly. The object in Piła – as IMMOFINANZ plans – will be one of the first objects of the new format of shopping centers in Poland – “Vivo !”. The leasable area of the Shopping Center is about 24 thousand sqm. and approx. 60 shops. The object will be supported by a parking lot with more than 540 parking spaces. The total area of the building will be approx. 30 thousand sqm. The General Contractor in Piła is Erbud S.A. Now the finishing work is being done in the area and in individual shops. Contracts for Rank Progress S.A.’s management of the project and for the object’s commercialization were also a part of the transaction. We are satisfied that we could participate in such an interesting and complex project, relating moreover to a pioneering solution at the real estate market. In our opinion, it is a further confirmation of our competence in the field of commercial real estate. On July 18, 2014, as a result of trade negotiations carried out in June and July, we concluded another contract for legal advise with Polish State Railways. This time, the subject of the order is consultancy in insolvency and restructuring law, handling financial claims and legal representation in investment projects carried out by PKP PLK. On April 10 Przemyslaw Wierzbicki will conduct a tranining at the French Industrial-Commercial Chamber in Poland on “Companies’ new obligations in their contracts with consumers”. You may enrol here. On March 6, 2014 Przemyslaw Wierzbicki will speak at the MMC Polska workshops “Practitioner of consumer’s law in the insurance sector”. Detailed program here. Wierzbicki Adwokaci i Radcowie Prawni advised Rank Progress S.A.
Wierzbicki Adwokaci i Radcowie Prawni advised Rank Progress S.A. in connection with a number of transactions involving shares of Rank Progress S.A. , owned by Clarriford Limited and Elsoria Trading Limited. These transactions were carried out in the period 13 – 18 December 2013. Elsoria Trading Limited acquired 599,125 and simultaneously sold 6.388,251 ordinary shares, as well as acquired and simultaneously sold 1.000,000 ordinary bearer shares in block trades on Stock Exchange. On 18 December 2013 it also sold over the counter in the form of a civil contract the amount of 1.599,125 registered shares of A series. Elsoria Trading Limited currently owns 2.471,840 registered shares, providing 6.65% of the share capital of Rank Progress S.A., conferring the right to 4.943,680 votes at the General Meeting (9.25% of the total number of votes). Prior to the transactions referred to above, Elsoria Trading Limited was a major shareholder of Rank Progress S.A. – it held 9.860,091 shares, ensuring 26.52 % of the share capital of the company, conferring the right to 13.931,056 votes at the General Meeting of Shareholders (26.07% of total votes ), including 4.070,965 registered preference shares as to vote providing 10.95% of the share capital conferring the right to 8.141,930 votes at the General Meeting of Shareholders ( 15.24 % of total votes), and 5.789,126 ordinary bearer shares, providing 15.57 % of the share capital entitling to 5.789,126 votes at the General Meeting of Shareholders (10.83 % of the total number of votes). Rank Progress is a dynamic real estate investment company and one of the leaders in its market segment. The company is distinguished by a unique market strategy – Rank Progress specializes in preparation and implementation of projects involving acquisition of attractively located land, and then building commercial objects for lease or sale. The main objective of Rank Progress are medium-sized cities, less saturated with commercial buildings than large cities. The team of lawyers responsible for the transaction worked under the direction of Przemysław Wierzbicki, managing partner and its members were, among others, the following lawyers: Agnieszka Bartosiewicz, Marta Foltyn and Maria Beroud. Consultancy in connection with these transactions required coordination of several areas of law (including company law, capital market law, contract law and competition law) and constituted a serious challenge – with a considerable degree of complexity of a number of agreements related to the transaction, the regulatory obligations and short period of time. At the same time advising on these transactions confirms the development of the law firm’s transactional practice, especially in the capital markets. We have advised on transactions to raise funds to purchase series “C” bonds of Rank Progress S.A. The transactions totaling over PLN 55 million included issuance of new series “E” bonds with a nominal value of PLN 18 million (issued under a private placement), loan and bond purchase by third parties. More information at lex.pl: here. Przemysław Wierzbicki will be a speaker at the conference “Practitioner of consumer law in the insurance sector”, organized by MMC Poland on 6 – 7 March 2014 at the Hyatt Hotel. He will talk on “The most problematic infringements of consumer rights in the judicial practice of the President of the Office of Competition and Consumer Protection” For more information please visit here. On 27 November 2013, as a result of public procurement proceedings, we signed with PKP Polskie Linie Kolejowe S.A. a contract for legal consultancy services in the field of tasks carried out by PKP PLK S.A. within the Operational Programme “Infrastructure and Environment” for the years 2007-2013. The subject of the public procurement is the legal advice related to infrastructure investments of PKP PLK S.A. in handling claims, including claims under the performance bond. We are pleased to be working with PKP PLK S.A., which will certainly lead to cooperation on many interesting complex projects of great importance for the development of railway infrastructure in Poland, and thus for the further development of the Polish economy. At the same time the contract with PKP PLK S.A. confirms our strong position in the practice of dispute concerning warranty, one of the leading expertise of our lawyers, which – it seems – is noticed nationwide. On November 6, during our “Open Day” we had the opportunity to talk with our clients about our cooperation and plans for the future. As it turned out, such meetings allow for less “official” exchange of opinions and views on different issues affecting our clients. On October 7, 2013 Przemysław Wierzbicki will lead a training “Practical aspects of liability of insurance and banking warranty – including judicial experience.”. On September 27, 2013 Przemysław Wierzbicki will conduct a training on „Insolvency proceedings”.